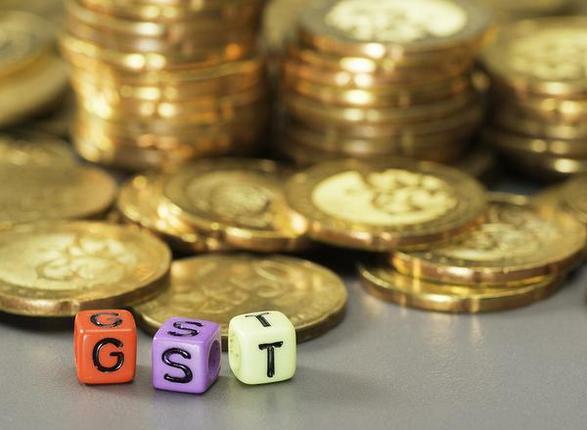 Providing a big relief to India Inc and consumers alike, the GST Council decided on Friday to lower the tax rate on 178 items, leaving just 50 items in the top 28 percent rate slab under the Goods and Services Tax. “Optically, some items should not be in the 28 percent bracket even if they were taxed at such levels before GST,” said Finance Minister Arun Jaitley after the Council meeting. Now, only items that attract the cess, such as luxury and sin goods, white goods, cement, paint, and automobile, aircraft and yacht parts, will be in the top tax category. Prime Minister Narendra Modi had on November 4 given an indication of this, during his presentation on ‘India’s Business Reforms’, attended by World Bank CEO Kristalina Georgieva. Modi had said that if no State government creates trouble, further steps will be taken to address problems faced by businesses and traders in the implementation of the GST by the Council at its meeting in Guwahati. On Friday, the Council meeting decided to reduced the rate on items such as chocolates, washing powder, shampoos, aftershave, deodorants, granite and marble from the earlier 28 per cent GST to 18 percent. Other items that will now be taxed at 18 percent include washbasins, plywood, sanitary and construction materials, wrist watches, fire-fighting equipment, and mattresses. The rate on fly ash, bricks, and some sweets has been lowered to 5 percent from 18 percent. The GST rate on some more items has been reviewed; the GST on dried vegetables, for instance, has been reduced to nil (see chart). Revenue Secretary Hasmukh Adhia said all these decisions will take effect prospectively from November 15. Additionally, in a further relaxation to small and medium enterprises, which were facing a huge compliance burden under GST, the Council has decided to increase the threshold for the composition scheme to an annual turnover of ₹1.5 crore. However, an amendment to the GST law will first have to be passed by Parliament. A uniform tax rate of 1 percent will be levied under the scheme, which allows for the quarterly filing of returns and payment of taxes. Eligible manufacturers with service activities with an annual turnover of up to ₹5 lakh will also be allowed in the scheme. The GST Council also took a stern view of restaurants that have not passed the benefits of input tax credit to customers. It has now decided to do away with the distinction between AC and non-AC and levy a flat 5 percent tax with no input credit on all eateries. However, outdoor catering and restaurants in five-star hotels will attract 18 percent tax with input tax credit. The GST Council has also announced more simplification of the return filing process, and GSTR 3B is being continued till March 2018 for all taxpayers. There will also be more simplification of the form for filers with no tax liability, said Adhia. Moreover, for this fiscal, taxpayers will only have to file GSTR 1, due to the “backlog in filing returns” and GSTN will work to further simplify the purchase-matching process. New deadlines for return filing and lower penalties for late filing were also announced. The Council also reviewed the revenue trends under GST for the first three months. Jailtey said that a lot of Integrated GST (estimated at ₹90,000 crore) is blocked in transitional credit and it is too early to get a clear picture of the tax collection trends. However, the rate cuts will not be cheap and will cost about ₹20,000 crore to the exchequer annually, according to Bihar Finance Minister Sushil Modi. Meanwhile, West Bengal Finance Minister Amit Mitra said that in the first three months, GST has resulted in a revenue loss of ₹60,000 crore to the Centre and ₹30,000 crore to the States. He blamed this on the hasty implementation of the tax. The next meeting of the GST Council is likely to be held in early January 2018; at that meeting, pending issues such as the inclusion of real estate and electricity will be discussed.